My kids LOVE to draw. As Thrifty Decor Chick would say, they luuuurve it! What they love even more than that though is displaying it! Here is your step-by-step guide on great ways to display their great works of art as well as how NOT to display it! This would obviously fall under the category of how NOT to display artwork. 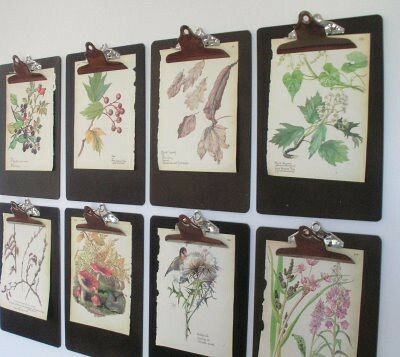 Here are a few great ideas I’ve found on friendly tasteful ways to display all this paper! Stick it on a magnetic wall! Do your home a favor and enjoy that artwork in style!!! Wouldn’t Super Mario Wii World 5 be so much cuter on a curtain rod? 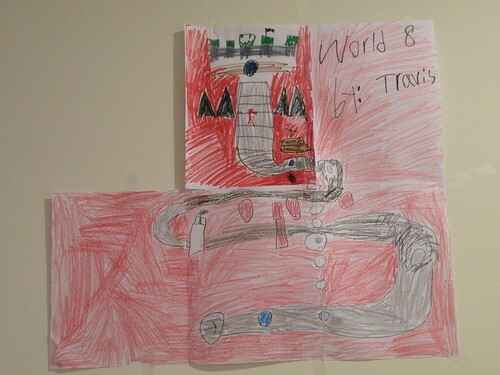 And wouldn’t Mario Wii World 8 look great on a magnetic wall? 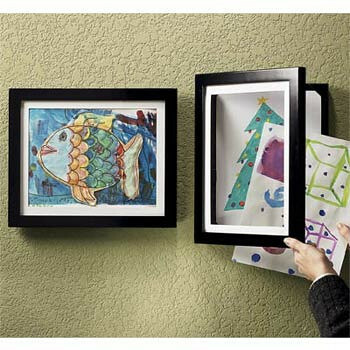 Remember: Love the artwork AND display it tastefully. You CAN have your cake and eat it too! I love this round up. Great idea to scan and combine the artwork! Thanks for including M&T. I scan my kids school work and save it on the computer so I can toss the real work. Well, I say scan but really I *use to* scan until the scanner broke. I’ve got a huge pile of work to scan. 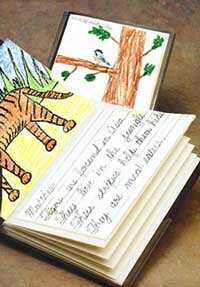 My *goal* is to make photo books but with the artwork instead of photos. That way they can have a book per year or maybe a couple books for all of Elementary school. You are welcome! Great site!! I’ve got you in my RSS feed now. Stopping by from FF and am now your follower. Hope to have you stop by Lemonade Mommy! 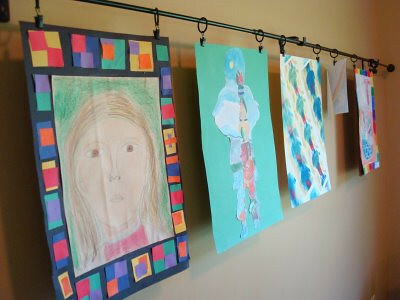 I am a kids art lover, and these are great ideas to display their art. Stopping by from the Girl Creative, come visit me too! Aw, that’s a great way to decorate. I bet your kids are so excited to see their art on the walls! Okay, so I guess just shoving it all in the top of my son’s closet isn’t a good solution. 🙂 I need to figure something out – it actually crashed down on top of me the other night. 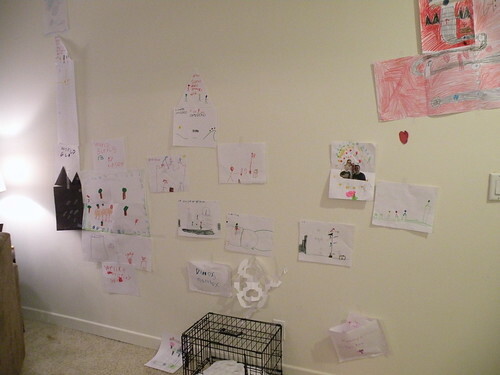 I love your childrens artwork and what wonderful ideas for displaying it! I need to get several pictures done by my own kids re-framed and up on the walls! i just realized where your profile picture for your blog came from. i thought you looked really good in it then i looked again and realized, wasn’t that in Napa in front of the castle? it looks like it and it’s a great photo of you! I’m a big fan of the clothesline display. I use it in our kitchen and playroom! 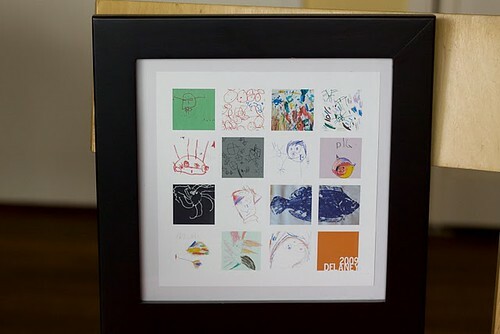 I’d have to do the scan and combine and frame with all the art my son does. He tends to keep it all in a notebook now that he’s getting older. Great ideas! I guess cramming them all in plastic bins isn’t too chic! I’m loving your new site look! I joined in as your first “friend”! 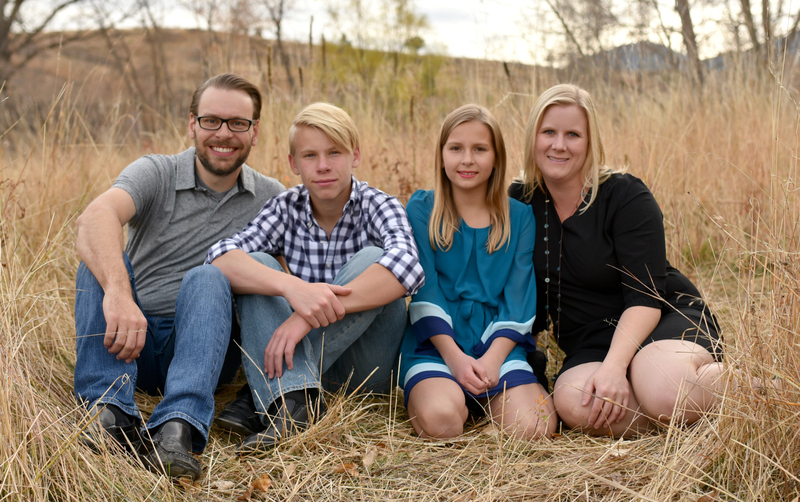 Woo hoo – I love being the first to join something good! great ideas! 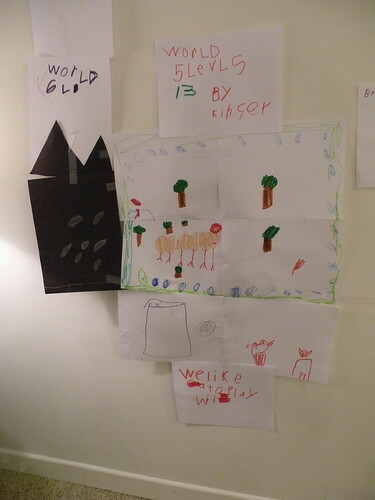 kid’s work should be displayed! thanks for visiting and commenting on our goodwilll field trip. It was a lot of fun. I traveled 2.5 hours to go to these goodwill stores. My local store is horrific! I love these ideas! 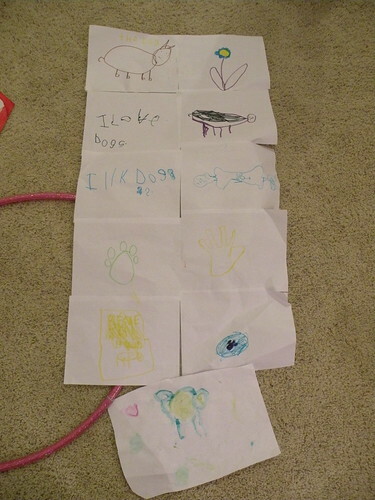 My little guy has just started making me artwork, and we need a way to display it! I really need to take a good look your post again. 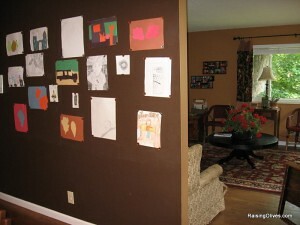 My kids art work is just spread throughout the house! I would love to have it consolidated to one place. Great round up! I’m STILL trying to find the perfect “Look what I did” for my kids…THIS is definitely getting bookmarked! Thanks! I love the frame ideas. 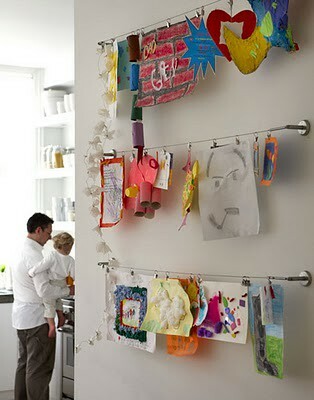 I’ve got so much stuff from our kiddos over time that this would be something I could do to display their artwork. All great ideas! I wish I would have thought of some of these ideas when my kids were still real young. My son is now 11 and is actually painting pictures (nice ones) on canvas for me, so the artwork isn’t so much a problem anymore. Love the scanning and combining idea… perfection! 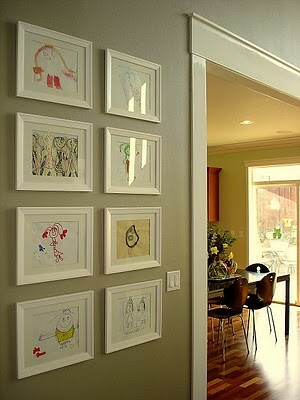 I love displaying my kids artwork! I like the book it idea and have been wanting to get around to doing it! I really like the scan an print together idea. Thanks! What a neat way to display art! Just pulled down all of the kid’s artwork off the wall (displayed as a “don’t” with tape on the back) and began searching for better display ideas. I LLLLLOVE the clothesline idea in the first “do” picture. Any idea where I can find one? Thanks for the amazing ideas! Love the idea of the clothsline option. Where can i get that? I checked online and the only place was IKEA. Thanks! Love your ideas! Can you PLEASE tell me where you got your clothes line from. I’ve looked everywhere for something like this!